Barnbestick, 3-delar. Tål dismaskin. Ingen PVC (phtalater) eller BPA Barnbestick i tre delar med motiv av Tummen. Levereras i en praktisk presentkartong. Handtag av ABS-plast. 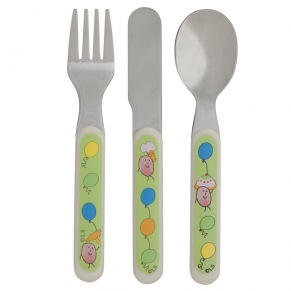 Children's cutlery , 3 pieces . Resistant dismaskin . 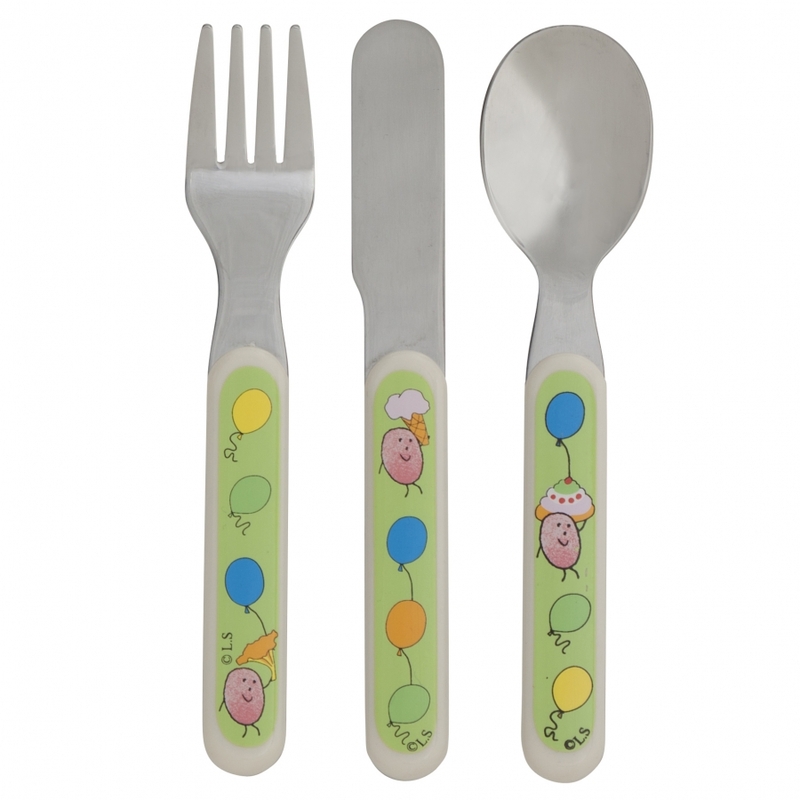 No PVC ( phthalates ) or BPA Children's cutlery in three parts with motifs of thumb . Comes in a handy gift box . Handle of ABS plastic.